The Indian Ocean is home to some of the most spectacular islands in the world. From the Maldives archipelago just off the Indian sub-continent to the large island of Madagascar off the coast of Eastern Africa and the islands of Mauritius, Seychelles and La Réunion in between, these islands are beautiful gems in a vast ocean. Many people might associate these islands with stunning beaches (and rightfully so), however, take a closer look and you’ll discover (as I have) that these islands have many characteristics that make each of them unique. One of many gorgeous Stonetown doors. My first visit to an Indian Ocean island was in the late-2000’s when I spent a few days in Zanzibar after a safari tour of Kenya and Tanzania. My idea was to have some relaxing beach time on Zanzibar’s stunning beaches but when I arrived there, I felt myself drawn to the maze of atmospheric streets and delightful markets in Stonetown, the terrific cuisines and the spice plantations in the countryside. The mix of African, Indian and Arab influences in everything, from the food to the architecture, was fascinating! I ended up spending only a day on that glorious beach! My next visit to an Indian Ocean island took me to Mauritius, a picture-perfect paradise island. Everyone has visions of what paradise is like, most of which involve tropical islands with white sandy beaches, palms swaying in the soft breeze and crystal-clear water, and Mauritius certainly ticked all the boxes. As I sat on the soft white sands of Île Plate (Flat Island) after a week on the island, I realised that Mauritius has a lot more to offer than just (jaw-dropping) beaches and luxury hotels. 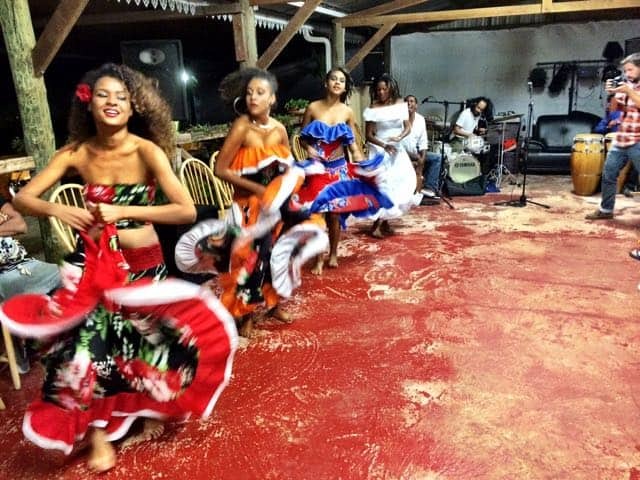 We hiked through dense forests, clambered down waterfalls, flew in a helicopter along the coast, ate our way through colourful markets, visited historic vanilla estates and joined the locals in dance. The experiences were plentiful and varied; a very different view compared to my initial perceptions of Mauritius. My favourite experience in Mauritius was the helicopter tour along the island’s southern coast. Gazing down at the crystalline lagoons, the little towns and the forest-clad hills is something I won’t easily forget! The spectacular southern coastline of Mauritius seen during a private helicopter ride! The third island I visited is the French overseas department of La Réunion (or Réunion Island), just 200km southwest of Mauritius. Dominated by a mountainous interior, Réunion Island boasts dramatic peaks, active volcanoes, a huge diversity of flora and fauna and a unique French Creole culture. 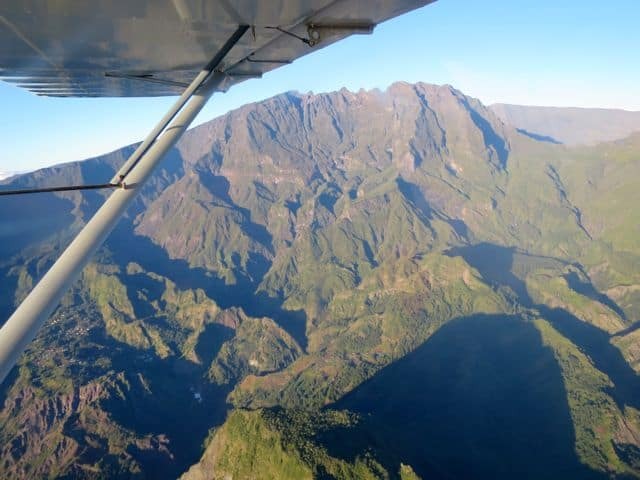 A majestic view of Piton de Neiges, the highest peak on Réunion Island, from a micro-light. I wasn’t quite sure what to expect when I arrived in Réunion Island but after a week, I was convinced, this island is a true adventure travel paradise! We went hiking through lava tubes, canyoning in areas formed by ancient lava flows, drank rhum with the locals as they told us wondrous tales of the island, drove through Mars-like landscapes, danced with the lovely Mahoya dancers, and went flying in a micro-light aircraft over the breathtaking mountains, with peaks over 3,000m high! Colourful Mahoya dancers in Reunion Island. There are beautiful beaches and lagoons but the greatest assets of the island lie inland, in the mountains and canyons! A drive along the Route du Volcan was without doubt my personal highlight. The scenery was truly astonishing! 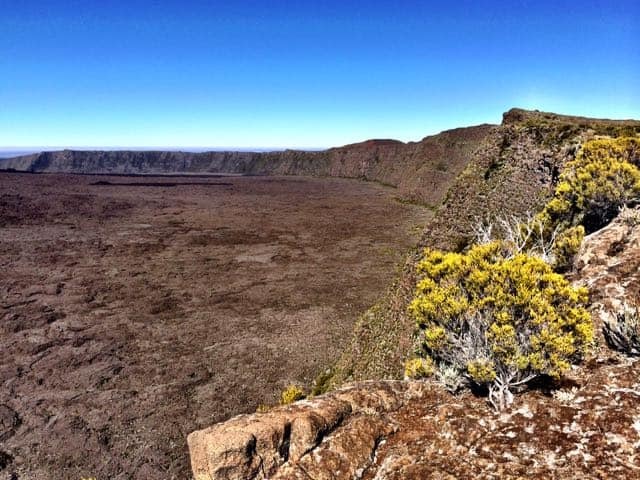 The caldera of Piton de la Fouurnaise, the most active volcano in the Indian Ocean. Close-up of grains of sand from St. Gilles in La Réunion. 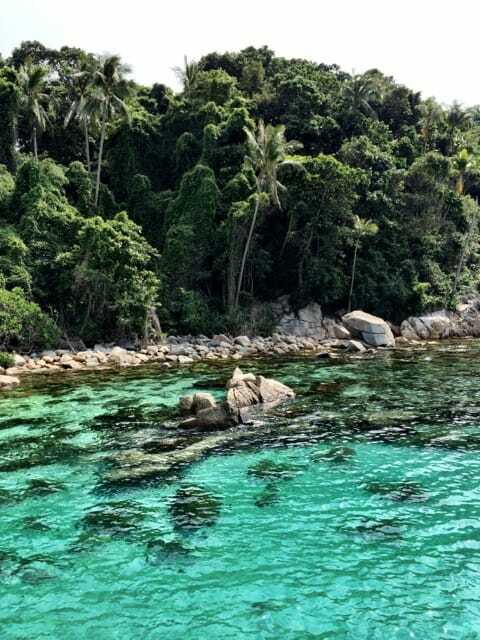 Exploring these islands certainly changed my perceptions – these islands weren’t only about beautiful beaches; they have so much more to offer and are unique in their own right. These unique characteristics are also illustrated (in an amazing way) in a project initiated by luxury travel expert Kuoni called ‘Sands of the Indian Ocean‘. Kuoni has created a series of microscopic photos which reveal the incredible details of sand and marine fragments from five Indian Ocean beaches. The project was initiated to refresh people’s perspective of the Indian Ocean; whilst the universal images of places like Maldives and Mauritius are all of similar white sand and turquoise waters, these unique photos illustrate that, when you take a closer look, the Indian Ocean destinations are all very different to one another. When I saw these photos, I was simply blown away by the uniqueness of each grain; a reflection of my diverse experiences on the Indian Ocean islands. The photos were produced by British macro-photographer Harold Taylor. The shapes, colour, depth and textures of the sand are hidden from the naked eye, but Taylor’s photos reveal a layer of hidden beauty under the microscope. The photographer, Harold Taylor, describes the pain-staking process required to deliver such impressive photos: “First I sort through the sample using a stereo microscope and a very thin paint brush, the most time consuming part of the process. I use specialised Canon macro lenses (MPE-65) to reveal the rich mixture of colours but photographing at such high magnifications can be very challenging due to a very shallow focus and vibration problems”. As you can see, the results are amazing! The many different colours, textures and shapes of the sand grains truly symbolise the multitude of experiences one can expect on the islands of the Indian Ocean. Looking at these photos, I thought back to that moment on the beach in Île Plate: I played with the fine white sand as my mind reeled off all the different experiences I’d had in Mauritius. Little did I know then, that the fine grains of sand in my hands were just as colourful and unique as my experiences. I know that now, thanks to this cool project by Kuoni! Note: this post was brought to you in partnership with Kuoni. As always, all views expressed above are mine, and mine only. This places are nothing short of spectacular … visiting at least one of those islands is high up on my bucket list! Wow, thanks for your lovely comment. I didn’t know you collect sand. Gosh, I used to do that as a kid – I forced my Dad to bring sand home for me from his travels! The post on the secrets of the sand inspired me to get the book – immediately! So beautiful! As a sand collector myself (I have over 100 samples from all over the world), this post was very approriate. Thanks Keith, for this post.